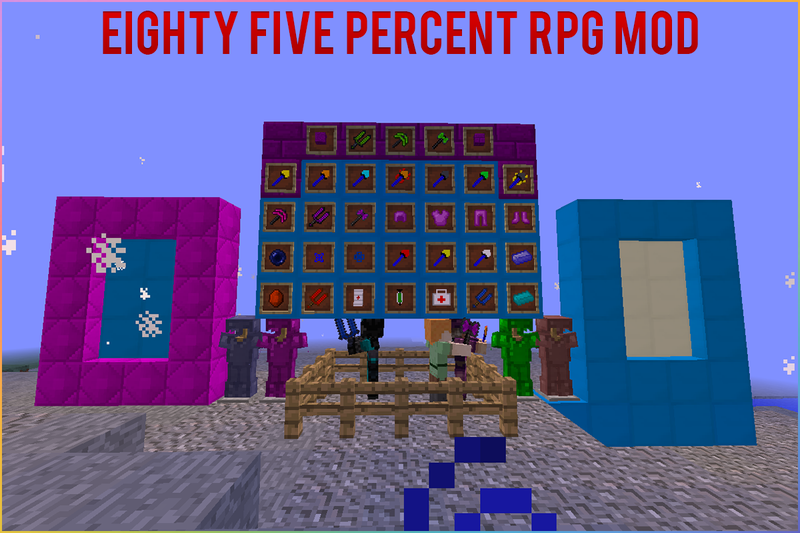 This is my sequel for my old and discontinued (due to tehnical issues) Ninety Five Percent RPG Mod. My goal is to get Mod of the Week. 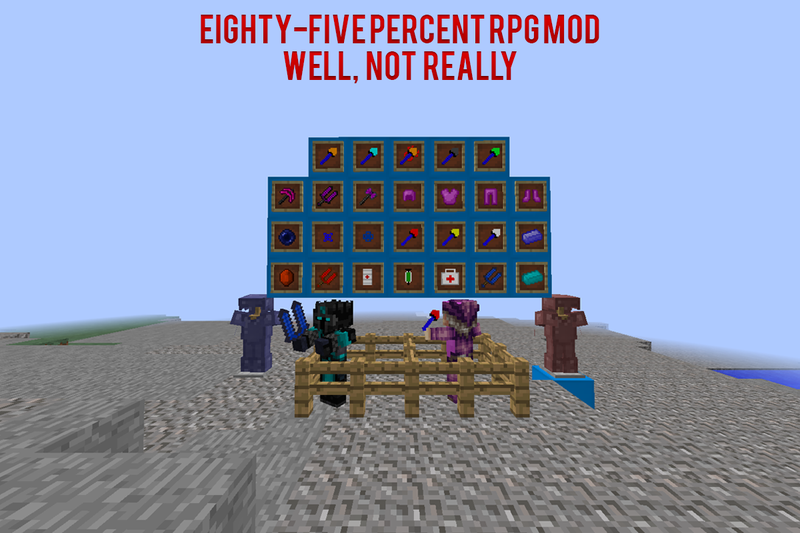 This is a mod all about adventuring (not really but, just pretend is it ok?). 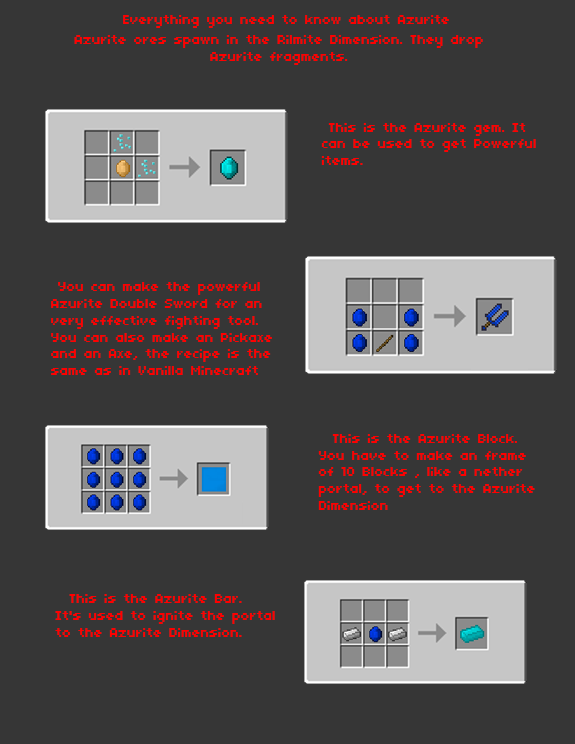 This mod adds new Ores and tools to your world, and even magic. 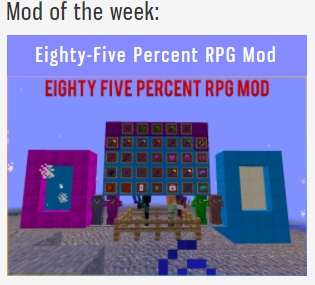 And we got mod of the week, so a big update is coming! 1) Armor names are not shown correctly - Priority : Low. Changelog . I will let the images speak. Beta 1.0. 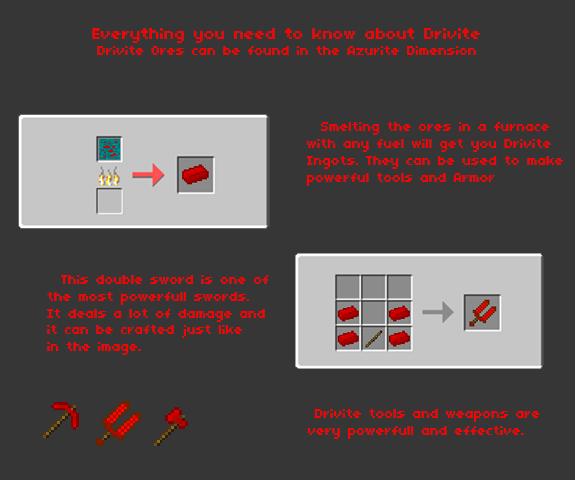 The first version, adds two ores to the overworld, 2 dimensions, 3 magic staffs and magic items. 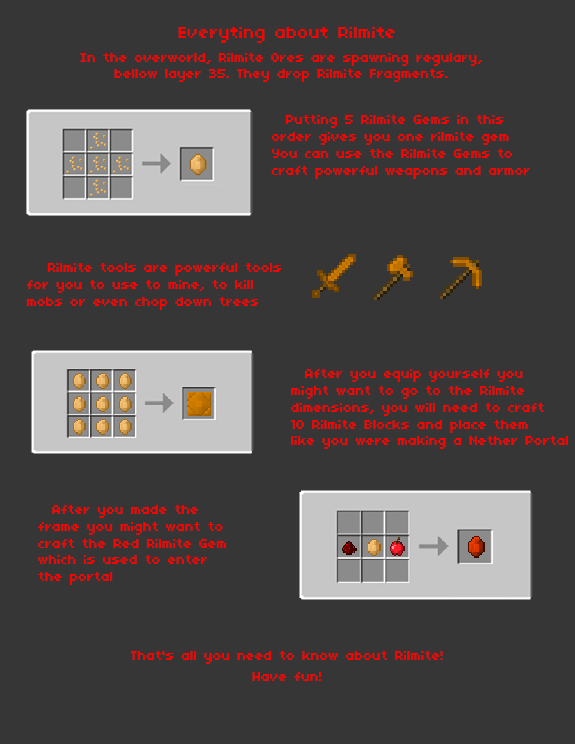 Beta 1.1 (Update 1) - This update adds one new ingot, new tools and armor and new magic staffs. 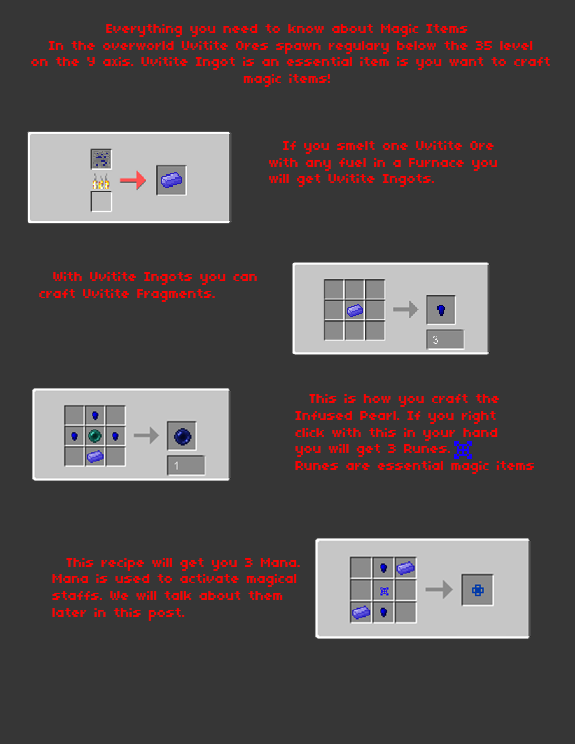 I forgot to mention, you can craft Armor with nitherite! Beta 1.2 - 1 New Dimension, 2 New Staffs, New tools and armor. 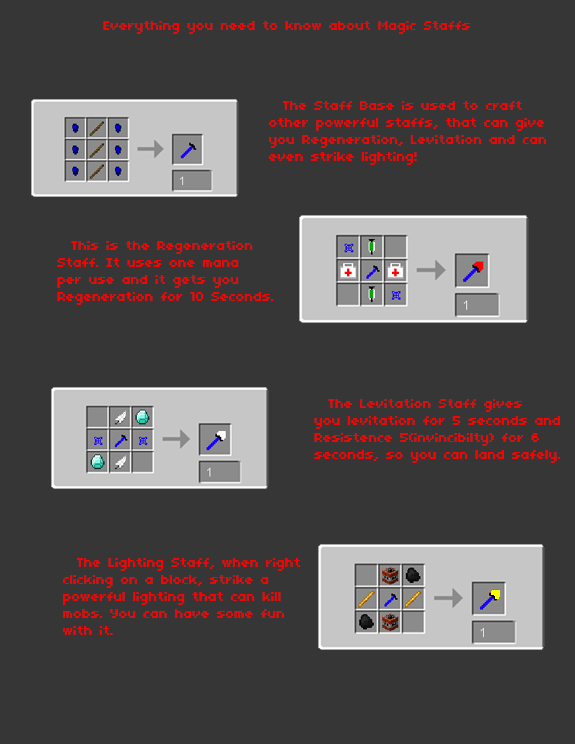 Beta 1.3 - Adds Magic Flux, One New dimension, one new armor set, new tools and weapons. Cool mod remake . 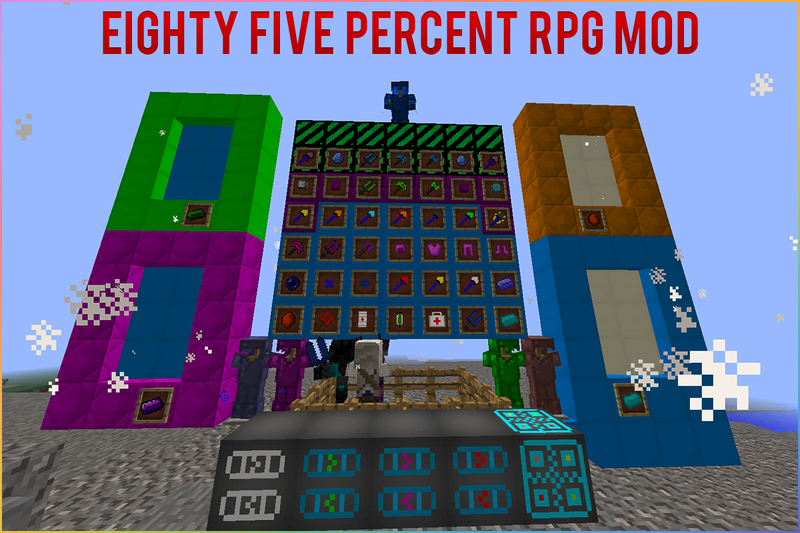 But why 85% rpg? And what's the pickaxe required for mining rilmite? @#2 Yeah, thanks for the tip ! Going to make this for all the future Textures. Mod just got updated! See if you like it! 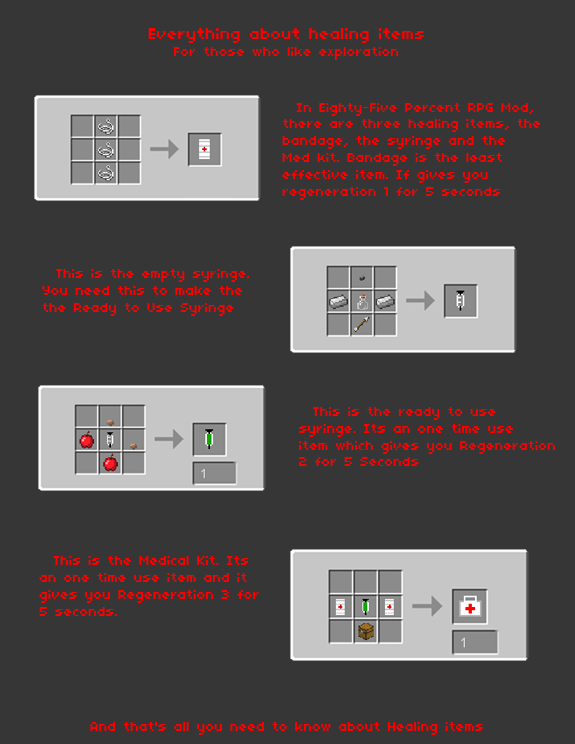 It's a shame that i have 3 commens one over another but .. My mod got updated, see if you like it! I predicted the mod of this week! Omg guys! Thanks for mod of the week! A big update is coming!